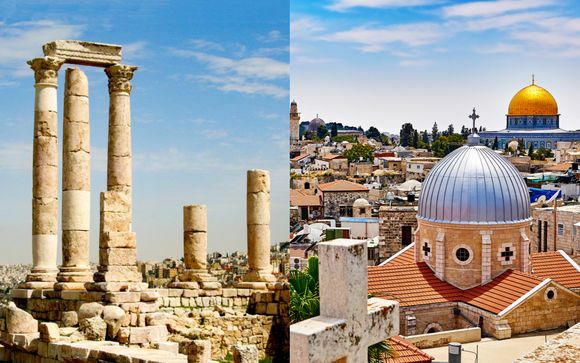 Holidays to Jordan up to -70% off To take advantage of these offers, join now for free! Home of historic and natural world heritage sites, Jordan is an essential destination for those that want to learn more about the region. Jordan holidays are an insightful and unforgettable opportunity to see some of the world’s most unique sites. Jordan is home to a bucket-list of destinations and attractions. That includes the remarkable Dead Sea, the enigmatic City of Petra and the hauntingly lunar-like Wadi Rum. Some visitors choose to stay in the capital Amman, the country’s cultural and political hub. A wide choice of five-star hotels are found in the city which is a great base to explore the many natural wonders and historic sites throughout the rest of the country. We’ve hand-picked for our members the very best hotels in both Amman and other major destinations including Petra and the Gulf of Aqaba. 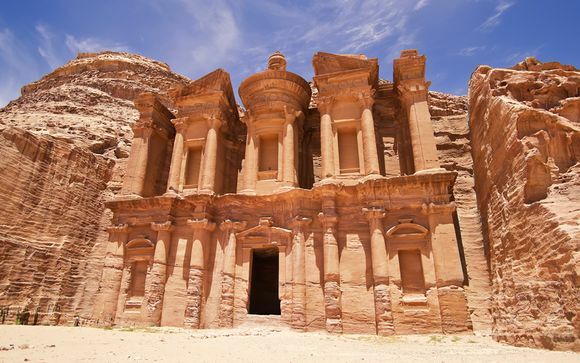 Our discounted luxury Jordan holidays are exclusively available to our members. Despite being a largely landlocked country, there are two locations for dipping your toes. The first is the Dead Sea, the deepest hypersaline lake on earth. The rate of salt means that bathers can literally float on the water. Many consider the Dead Sea to boast health benefits. The Gulf of Aqaba is found to the south of Jordan and is the only place in the country for a proper beach holiday. These golden sand beaches and warm waters are a popular holiday choice and include a number of luxury hotel options. Scuba diving in the Red Sea is very popular here. Jordan forms part of the Cradle of Civilisation, a region that stretches across much of the modern day Middle East. It was also a significant location during the Greek, Roman and Byzantine Empires. As a consequence, it boasts archaeological sites of huge significance across the country. 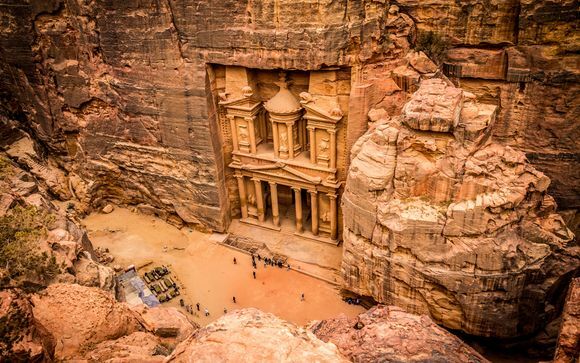 History fans will no doubt want to head to the Ancient City of Petra, which is home to the country’s most famed landmarks; a series of caves, monuments and temples carved into the pink sandstone. The entire city, known as The Rose City, is a designated UNESCO World Heritage Site, as well as being considered one of the Seven Wonders of the Modern World. Desert tours are also popular in Jordan, especially to Wadi Rum, a red sand desert and valley of sandstone rocks, made famous by being a film location for Lawrence of Arabia and various sci-fi movies set on Mars or the Moon. Home to the Zalabia Bedouin, these local guides provide the facilities for adventures such as rock climbing, camel trekking and hiking. Many Christians also try to visit the Jordan River where Jesus is believed to have been baptised.